Flows are still holding at 28 cfs. The “toilet bowl” section at the head of the river can be good this time of year. Make sure you have enough weight on your nymph rigs to get down with egg patterns, #20 serendipities, #16-20 copper john’s, and #18-20 midges. Other areas worth looking at are the “Spring Hole” where the river makes it’s first substantial turn downstream and just upstream of the old aqueduct that runs close to the highway. Small streamer patterns pulled, drifted, or swung in the deeper sections can produce some good quality fish. 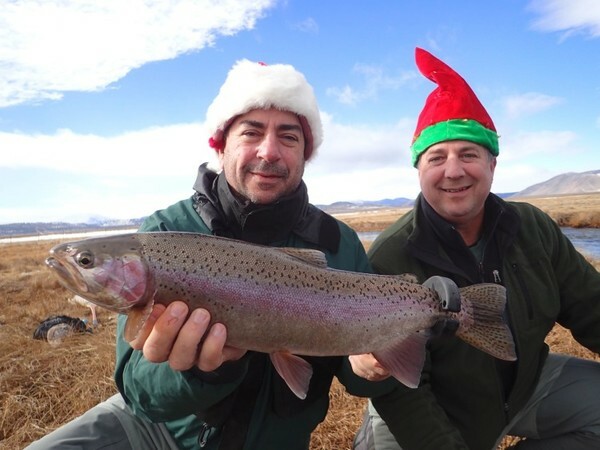 This fishery is open year around below the Bridgeport Reservoir dam to Nevada State line. Open year around in Nevada also.